I have never been one for bigger and chunkier jewelry. I usually stick with pearls, pearl studs and my wedding rings. In the past year, I've broken out of that mold a bit and have started to wear chunkier jewelry and plan my outfits around them (mostly necklaces). I recently ordered this from BaubleBar and am anxiously awaiting its arrival. It's a simple design and I'm looking forward to pairing it with several outfits. I love the large gold chain, such a classic design. The black triple bib is one of my favorites and think it would look nice with the pink crepe shift I recently purchased as Old Navy now on sale for $19.99 (HERE - the picture doesn't do it justice, it's hot pink). On another note, I did purchase this J. Crew inspired necklace off Ebay for $12.99 (HERE). I think it would be a nice pop of color against an all black dress or top. I've been loving big necklaces lately! I love that white one! I've gotten a lot more necklaces in the past year. I still find myself going back to my pearl necklace and monogrammed necklace daily though. 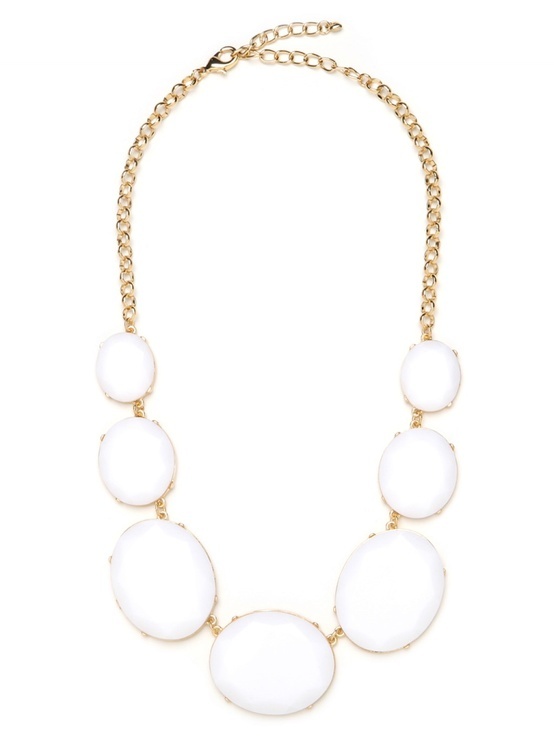 I purchased a double gold chain from Stella and Dot that looks very similar to this gold chain. 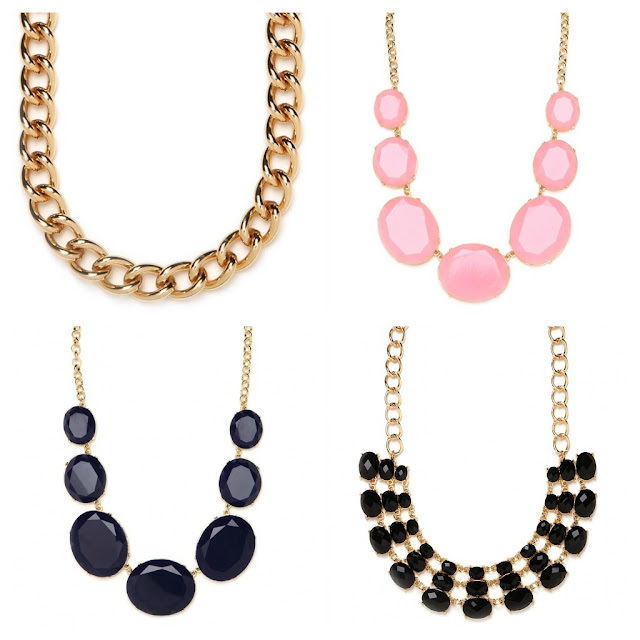 I haven't ordered anything from BaubleBar, but I have looked at their site so many times. Great taste! I love Bauble Bar! Great choices!